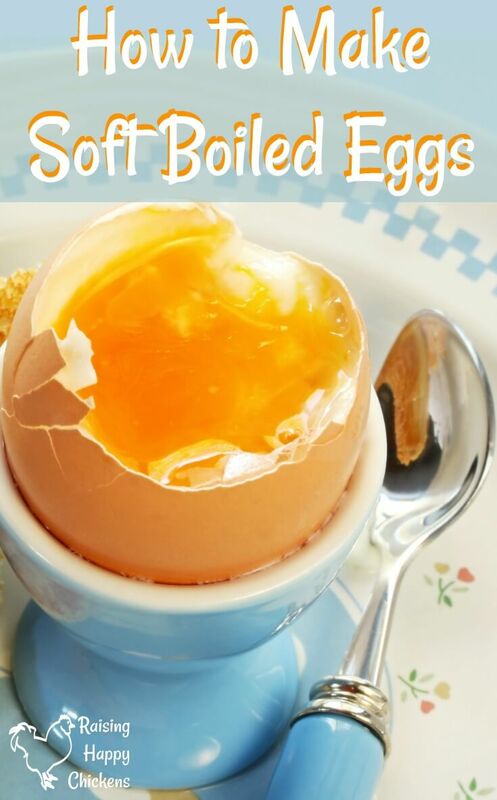 Dippy eggs, eggy soldiers -- you probably remember the soft boiled eggs you had for breakfast as a child. 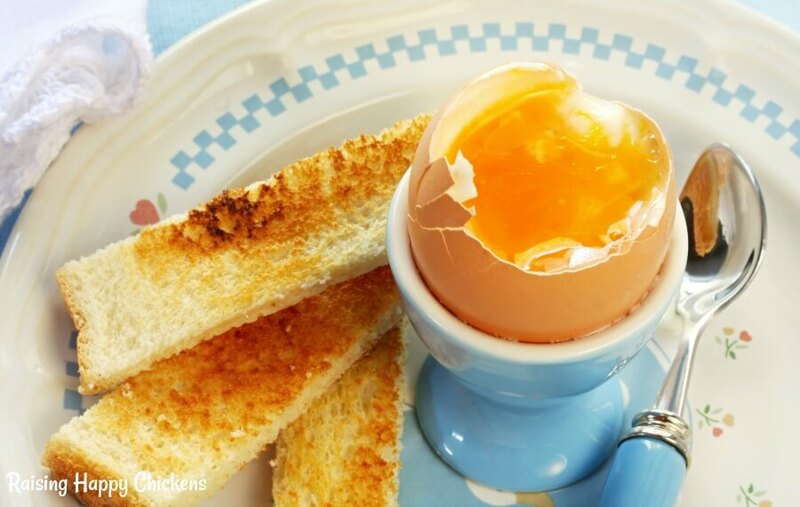 Dippy eggs you can probably understand (as in eggs to dip bread into), but soldiers? Yep - as a child growing up in the UK, eggy soldiers were a favourite. The egg is - well, the egg - the bread or toast cut into fingers are the "soldiers" standing to attention. 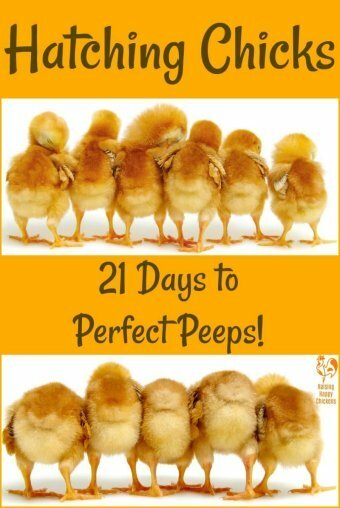 Until they're dipped in the egg of course, at which point they become soggy soldiers! Make sense? Maybe not - but it was a good way to get children to eat up all their bread and eggs! * how to cook the perfect "dippy egg"
* given the worries a lot of people have about soft eggs, we'll also consider the evidence about whether they're safe to eat. How to soft-boil an egg. It's not rocket science, but trying to produce the perfect "dippy egg" can be a lifelong quest for some! This method is from the UK cook, Delia Smith and I've found it to be virtually fool-proof. Your eggs should be at room temperature before putting them into water. If you store yours in the fridge, plunging them into boiling water is likely to cause them to crack. Take a saucepan which is the right size for however many eggs you want to boil and will leave about 1 centimetre (just under half an inch) on top for the water to cover. Fill the pan with water and bring it to a rolling boil on your hob. A rolling boil is when the bubbles are quite rapid and the surface of the water is moving all the time. Gently, using a spoon, lower the egg(s) one by one into the water. Bring the water back to a simmer - which means it's just boiling. Still not sure of the difference between boiling and simmering? Take a look at this short video. Once the water is simmering, time the eggs for exactly one minute. I find the most accurate way is the timer on a smartphone. When the minute is up, take the pan off the heat and cover with a lid. Leave in the covered pan: 6 minutes for a very runny egg, 7 for a yolk that's still soft and a firmer white. When the time's up, take straight from the pan to the egg cup and enjoy! And there you have it. Perfect soft boiled eggs, every time. Not keen on all the faffing about? Or maybe you just can't quite get the timing right. This latest egg timer is a much more high-tech gadget than the old, wind-up style and claims to make the perfect consistency every time. I haven't tried it personally - I prefer the gentler, more old-fashioned way - but many people swear by it. How to make them special: put them in a cup! No, not a tea cup. An egg cup. 3 of my fun vintage egg cups. These are Carltonware, made in the 1970s and quite rare. Egg cups are apparently less common in the US than the UK, where they're considered more or less an art form. As a child I ate from a wooden cup - I can still remember exactly how it looked. As an adult I have a collection of them. They somehow make eating soft boiled eggs that much more special. Collecting them can be fun: new can be bought everywhere in the UK and I find antique ones online (eBay and Etsy are both good sources), in antiques shops and fairs, and at car boot sales (garage sales in the US). If you're in the States, you'll find a very few on Amazon. These are my favourite - real Cornishware. If you visit the UK, you're likely to find this blue and white stripe often used, particularly in country homes in Cornwall. The archetypal English egg cup! Are soft boiled eggs safe to eat? Again, there's a difference here between the US and most other places in the world. UK advice about soft-boiled (or raw) eggs. The UK Food Standards Agency1 is very clear: Salmonella from eggs is now a very low risk. 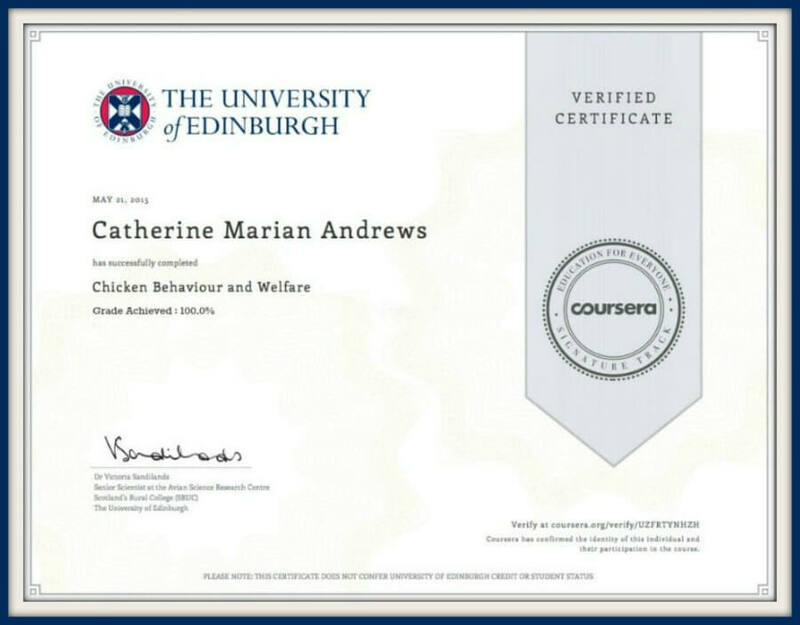 "Infants, children, pregnant women and elderly people can now safely eat raw or lightly cooked eggs that are produced under the British Lion Code of Practice". 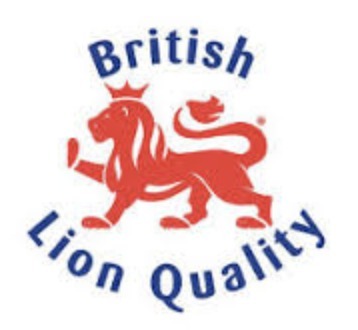 So in the UK, looking for the British lion logo assures quality. 90% of shop-bought eggs in the UK are produced under these standards. 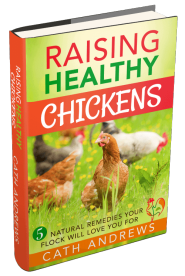 They do not, of course, take into account the conditions or treatment of the chickens who produce them. US advice about soft-boiling eggs. "To prevent illness from bacteria: keep eggs refrigerated, cook eggs until yolks are firm, and cook foods containing eggs thoroughly". 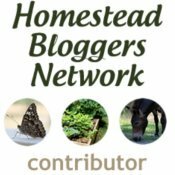 Are your own eggs safe? 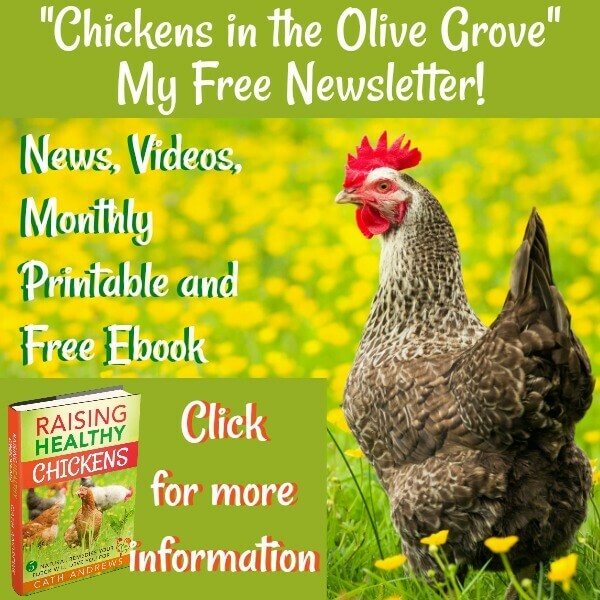 Most of the issues concerning salmonella relate to large, factory-farmed, "battery" chickens where enormous numbers of hens are kept in cramped and often dirty conditions. 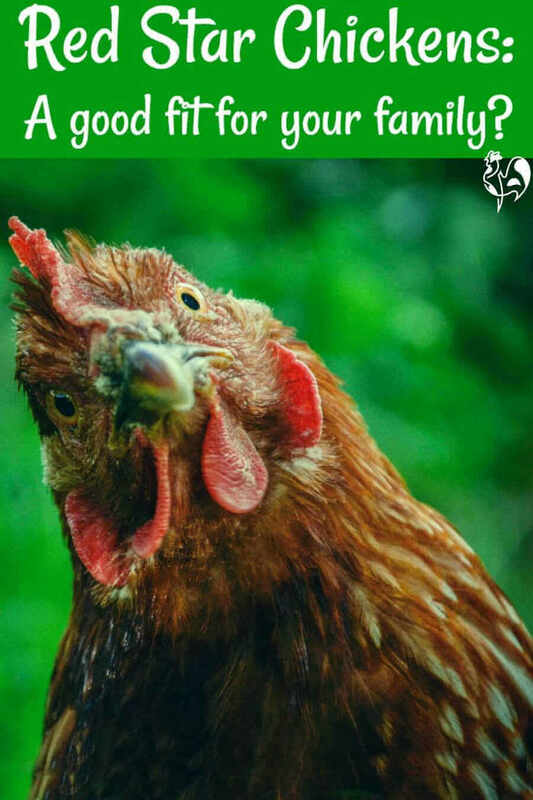 Using your own eggs, given that your hens are kept in good conditions, or buying from a farm where hens are pastured, should be no problem. 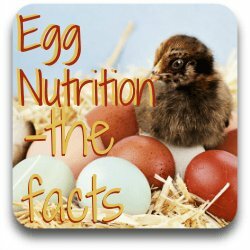 Want to know more about eggs and nutrition? These pages will help. The lowdown on eggs: why they're the best food ever. 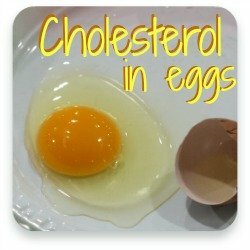 Eggs and cholesterol: separating fact and fiction. 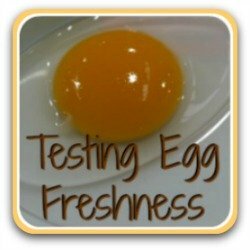 How do you know when an egg is fresh? Find out here! 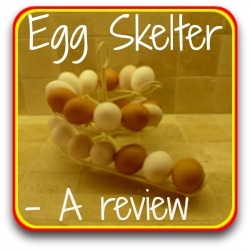 Store eggs in style with the fabulous Egg Skelter! New Advice on Eating Runny Eggs. Food Standards Agency, October 2017. Ad Hoc Group on Eggs: An update on the microbiological risk from shell eggs and their products. Advisory Committee on the Microbiological Safety of Food. 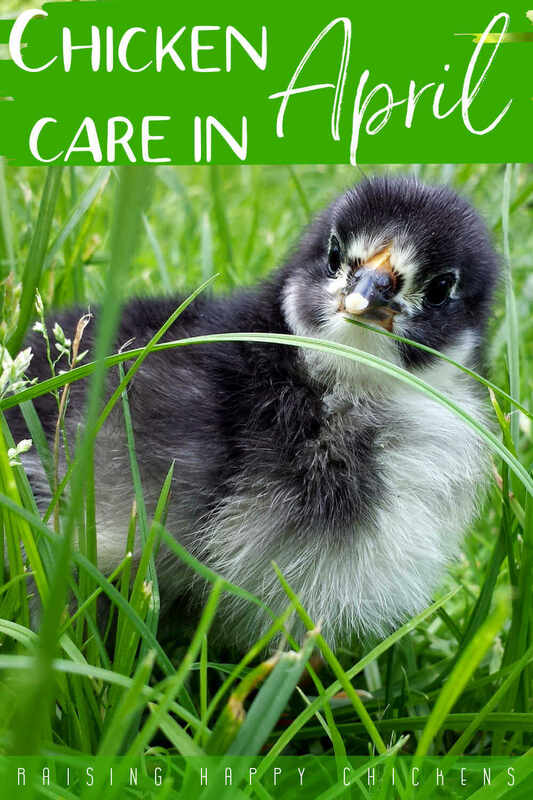 Egg Safety: What You Need to Know. US Food and Drug Administration, 2017.